Hey folks! 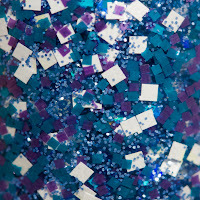 In this post we're going to be checking out some new releases from Elixir Lacquers. One of these polishes is a LE, and the other two are from the new Roller Derby Ruckus Collection. Here we go! Elixiversary is the limited edition polish, created to celebrate the one year anniversary of Elixir Lacquers. The run is limited to 75 bottles. 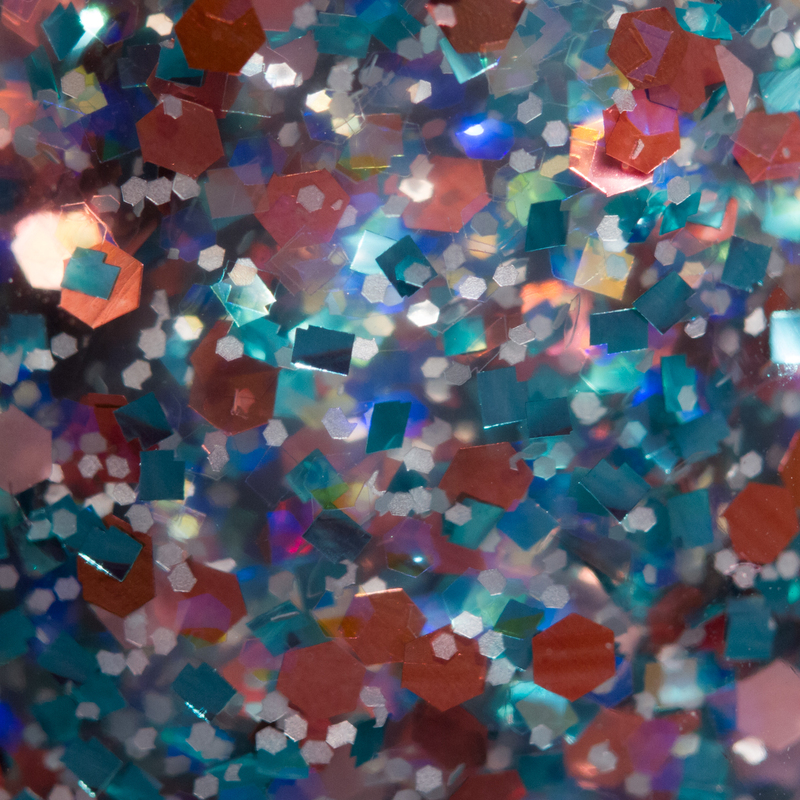 It is a clear base filled with lots of different shapes, colors, and sizes of glitter, including giant white hexes, holographic diamonds, matte plum hexes, and teal circles, among others. I've layered one and a half dabbed coats over A-England St. George. 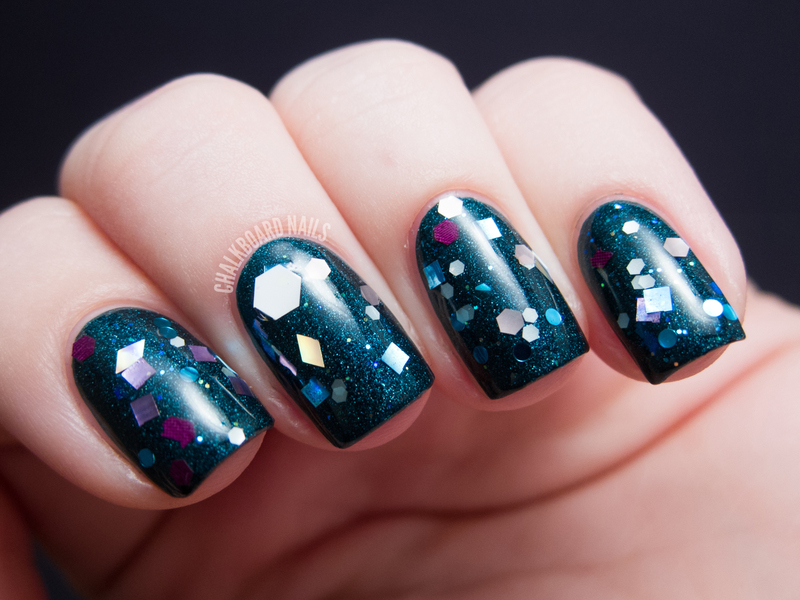 I like the mix of glitters in this polish; it's like a big party! I did have some issues with sinking glitter though, so be sure to flip this one upside down a few minutes before your manicure. Additionally, the glitter density was on the lower side, so you may have to do some placing for full effect. Overall though, a fun polish and a great celebration of a milestone. 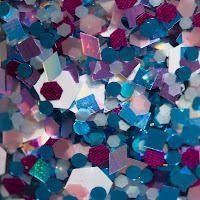 Missy Mayhem, from the Roller Derby Ruckus Collection, is a great mix of white, teal, and purple squares as well as smaller periwinkle glitters. I've layered one coat over Zoya Julie. The application was easy and the glitter density was good. The squares are a lot of fun! All in all, well done! Sugar Slayer is also from the Roller Derby Ruckus Collection. 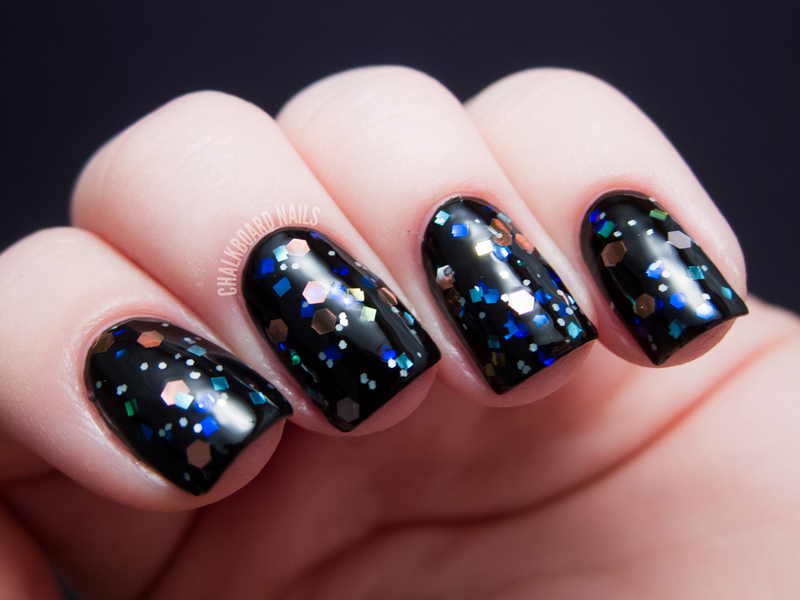 There are a lot of iridescent glitters in this one, so I chose to layer it over black to show them off. Like Missy Mayhem, this one gave me no problems with application. I couldn't resist shooting some macros, too (click to enlarge)! Nicole of Elixir Lacquers has also posted some additional swatch photos of Elixiversary and the Roller Derby Ruckus Collection if you are interested! Elixiversary releases will take place at 1:00pm EST on January 16th, February 16th, and March 16th. Each release will have 25 bottles available. Once those bottles are sold, no more will be produced. The Roller Derby Ruckus Collection will be available beginning February 1st. Elixir Lacquers can be purchased at www.elixirlacquers.com. You can also keep up with the brand on Facebook. I kind of want to set the macro of Elixiversary as my desktop background...probably weird, but whatever. 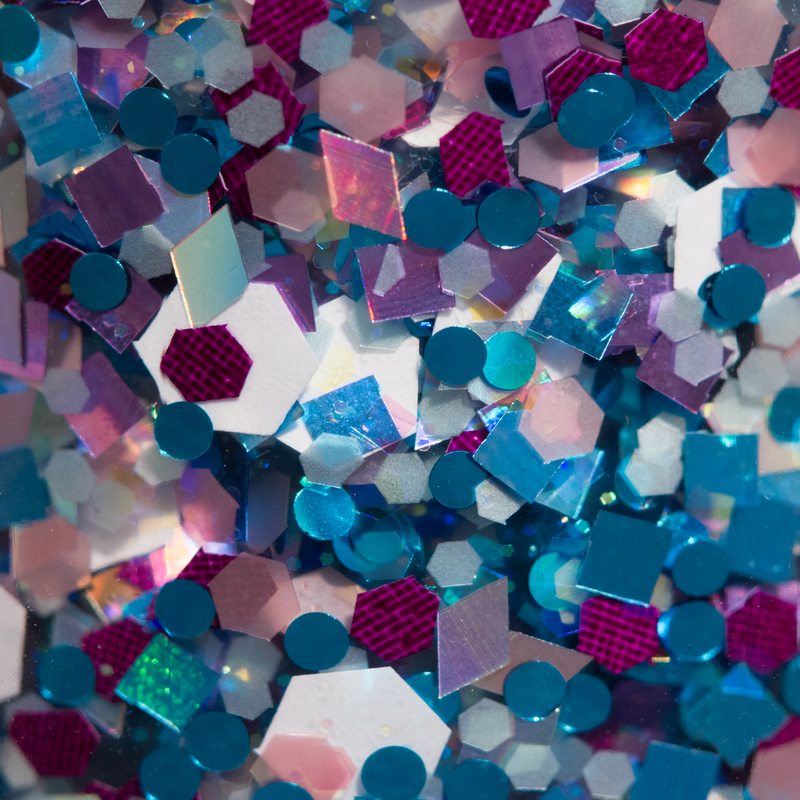 I have no inhibitions when it comes to a good glitter. It's just so...intriguing.Love all those shapes! Mmmmmm I am loving those macros!! All of them are so cute! Loved. Elixicersary is probably the most unique one! Love that they look like little gems! Sugar Slayer is my favorite one out of the threee! It's just so gorg.! !